1. To meditate, you have to stop thinking. This is the big one. Somehow, people have the idea that to meditate, you must “clear the mind of thought.” What does that even mean? Please think about that, ironic as that request might be. Who would you be without any thoughts whatsoever? Some might say you’d be an idiot. Some might say you’d be Buddha. Personally, I have no idea. In all cases, attempting the mysterious “clearing the mind of thought” through an act of will is contraindicated. So if you think meditation means not thinking, stop thinking that. You can have so much more faith than this. Your mind is supremely capacious. It is so much bigger than any one particular thought or school of thoughts. Fearing your own mind is like the ocean fearing waves. Seriously. Others may think that meditation is about thinking only positive or affirming thoughts. Even just the other day, I was listening to a young Western spiritual teacher who was offering her followers the potentially useful advice to choose between love and fear, that every thought was a manifestation of either one or the other. However, when I began examining my fear-based thoughts (hopeless, anxious, mean), I didn’t know what to do. Was I supposed to cut them out? Ignore them? Turn them upside down? Whatever I attempted felt like pretending and I became more and more worried that my thoughts were somehow going to poison me unless I could think only good ones. There are more choices than either love or fear. The third option is to relax with both loving and fearful thoughts, see them for what they are–impermanent arisings–and recognize that through your meditation practice, you know exactly how to return to balance. I’m not saying you can always do it but, still, you know how. So, all this goes to say: meditation is not about ceasing thought, certainly not at the outset. It is not about thinking only loving thoughts, certainly not at the outset. Perhaps the destination is just this: a mind that is utterly relaxed within itself. Yes, let’s go with that. All the great dharma teachers tell us it is so. But the path is not self-criticism, nor is it willfulness or some form of pretending. It is a gradual path that is built literally breath by breath, each inhalation an act of faith, each exhale a gesture of relaxation, until, suddenly, we are liberated. 2. Meditation is a form of self-improvement. Sure, it will improve your life. But it goes so much further. In fact, meditation is a precious opportunity to untether yourself from the self-improvement treadmill that so many of us ride so hard. Your practice is a time to stop trying to be a better anything and instead to release all agendas and relax with yourself just as you are. You don’t need to become anyone other than who you already are and if you enlist your medtation practice in the service of transformation, it will lose its magic. You already are exactly who you want to be. Meditation is a way of clearing up any confusion about this, but it works on you in mysteriously non-linear ways. Giving up trying to control outcomes is an excellent first step in connecting with its magic. 3. Meditation makes you into a peaceful person. I was tempted to write, “ha ha ha ha” but I didn’t want to be too flip. It often happens with my meditation students (as also happened with me), that at some point they say, “The more I practice, the more raw I become. I’m not becoming more quote-unquote peaceful, I’m actually becoming more vulnerable. What the hell is going on here?” Now we get to a little secret about meditation practice. It does not make you more peaceful, if by peaceful you mean unflappable or unperturbed or some other kind of state where everything is always OK.
Rather than creating an inner environment that is akin to a still pond (which can only remain so if the wind never blows or a leaf never drops or the temperature never shifts), your practice drops you into the deepest part of the deepest sea, a place that sometimes sparkles peacefully and at others roils as if blown by the winds of hell. It reveals you to be the wave form that is capable of all such manifestations and that has no option but to eventually be reabsorbed into stillness. This is you. THIS is you. This you is so much bigger than having to choose between each little thought as either for or against you. 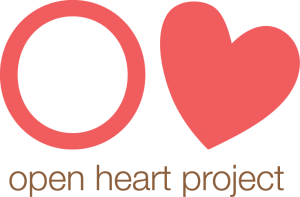 To learn to meditate and receive ongoing support for your practice, please sign up for the Open Heart Project newsletter. Free! I just wanted to say I really appreciate the way you write. So many people think that you have to stop thinking; like telling someone not to think of a blue elephant, it’s impossible. I find it hard to relax and get frustrated at times that I’m not ‘better’ at meditating, but it really helps to remind myself that meditating isn’t about trying, in fact, it’s the opposite of trying, it’s simply being. When you get ‘it’, even for a split second, it’s well worth it. And I totally share your views on meditation! I’m thinking of a blue elephant right now. Susan…thanks for the insight that the mind is meant to think, the mind exists to make thoughts. That clarified several issues for me. I do want to become more patient, less judgmental. So, really, I’m not “exactly who I want to be.” Am I wrong to look to my meditation practice to help me work on those things? Wanting to be more patient is awesome. What I was trying to say was that underneath your judgmental qualities, patience already resides. That is my experience, in any case. Susan, while I do have moments of void-in-the-head when I meditate, it’s certainly not all the time. What I do have mastery of, most of the time, is a state where the noise in my head (judgement, worry, whatever) becomes less loud, and less attention-grabbing. Kind of like a not-quite-tuned-in radio station. A little static-y. Background noise. I made peace with this a long time ago and stopped worrying about those who would tell me that the goal is to not think. I love how you put it: if you think meditation means not thinking, stop thinking that. Thank you very much for your suggestion to “see without interpreting.” My analytical skills are highly-developed and have served me well professionally. However your suggestion allowed me to understand the value of letting go of interpreting. Thank you for this insight. You are so welcome. And thank you for your efforts to see yourself. I have followed you meditation guidance for a couple of weeks and I have some beginner questions. Not sure where to ask, so sorry that this is unrelated to the topic of the post. 1) I’m struggling with not controlling breath and just placing my attention on breath. Any tips? 2) During the later half of the mediation if I notice that my posture has degraded should I correct it, or should you strive to sit still? Currently I’m correcting my posture. – How long is the meditation in the practitioner program? – Is there an entry level in term of experience? – Will the liv e sessions be problematic to attend if I live in Europe? I’m looking forward to the video and answers on my 3 questions! Yes, it can be challenging. Both Ujjayi and and simple breath awareness have their place. I have to disagree, there is a long tradition of no-thought throughout history, and just because you have difficulty achieving Zen does not counteract its existence. As beginning practitioners, “trying” for no-thought doesn’t seem to be useful. Relaxing into it might be better. But then again, I have not achieved Zen so I can’t really be certain. Of anything. Hello from Ireland. I want to thank you for writing this piece. Simple and straight forward for me to understand. I am 45 years old and have been meditation on and off for a year now. Amazingly I have become very good at keeping my mind still, clear of everything, even noise using the breathing method. I do have a question. I am happy with the level of complete ‘nothing but awareness’ I can achieve(no conscious thought). But how do I focus on anything without breaking the silence. Some people claim they can ‘go places’ in their minds, or help others, or heal their own mental wounds from the past. How can this be done without actively deciding a course action. This in itself breaks the silence. It requires the inner voice to speak to make the choice/decision. Every time I try to ‘go somewhere’ in meditation the act of the thought itself collapses my meditation. I am probally wrong but how does one remain in a deep meditation and ‘choose’ a ‘course’ to go in without collapsing the meditative state.